CJ and his kids have to move in with his uncle, Pops, and his family, making for one very full house. It\'s anything but peaceful with three generations living under one roof, and only one thing is for sure--things are about to get very funny. Season 7, Episode 82 - "All's Well"
Season 7, Episode 81 - "The Call Back,"
Curtis must deal with resentment after he is called back to work. Season 7, Episode 80 - "Trial and Tribulation"
Calvin encounters his shooter at a trial. Season 7, Episode 79 - "Payneful Realization"
Calvin and Miranda try to bond when cracks show in their marriage. Season 7, Episode 78 - "250th Episode: The Invention of Trust"
Miranda borrows money without Calvin's knowledge; Floyd becomes an inventor. Season 7, Episode 77 - "The First Dance"
Jazmine attends a dance and takes a boy for the first time. Season 7, Episode 76 - "Amazing Matriarchs"
Season 7, Episode 75 - "All Work and No Play"
Calvin and Miranda might be able to move out; Jazmine works with CJ and Janine. Season 7, Episode 74 - "Not in the Cards"
Season 7, Episode 73 - "Payneful Distance"
Season 7, Episode 72 - "Dodging Bullies"
Season 7, Episode 71 - "Bake, Rattle and Roll"
Season 7, Episode 70 - "Keep It Moving"
Season 7, Episode 69 - "House of OMG"
Season 7, Episode 68 - "Payneful Pop In"
Season 7, Episode 67 - "House of Sabotage"
Season 7, Episode 66 - "Up to the Challenge"
Season 7, Episode 65 - "Payneful Divorce"
Season 7, Episode 64 - "The Loan Ranger"
Season 7, Episode 63 - "Right Turn"
A cranky firefighter has his life and home turned upside-down when his nephew and his family are forced to move in leaving the home very crowded. Season 7, Episode 62 - "What You Know About Me"
Season 7, Episode 61 - "Payneful Matrimony"
Season 7, Episode 60 - "Batter Up"
Season 7, Episode 59 - "Payneful Injection"
Season 7, Episode 58 - "No Pass, No Play"
Season 7, Episode 57 - "Stop, Drop and Roll"
Season 7, Episode 56 - "Down for the Count"
Season 7, Episode 55 - "Neighborhood Crisis"
Season 7, Episode 54 - "If It Ain't Broke"
Season 7, Episode 53 - "House of Forced Closure"
Season 7, Episode 52 - "Guess Who Came to Breakfast"
Season 7, Episode 51 - "Payne vs. Payne"
Season 7, Episode 50 - "Scars of Payne"
Season 7, Episode 49 - "Pills and Thrills"
Season 7, Episode 48 - "Daddy Day Scare"
Season 7, Episode 47 - "Payback"
Season 7, Episode 46 - "In Payne"
Season 7, Episode 45 - "House of Nightmares"
Miranda takes over renovating the condo while Calvin and Deshawn bond. Season 7, Episode 44 - "Payneful Recovery"
Season 7, Episode 43 - "Payne-ful Survival"
Season 7, Episode 42 - "R.I.P. - Rest In Payne"
Calvin battles for his life at the hospital. Ella's unwavering faith won't let the family get down. Season 7, Episode 41 - "Do or Die"
The family gets ready to have one last Sunday dinner at Curtis and Ella's. Season 7, Episode 40 - "God Bless the Paynes"
Season 7, Episode 39 - "No More Payne"
Season 7, Episode 38 - "Do The Hustle"
Season 7, Episode 37 - "Paynefully Fit"
Season 7, Episode 36 - "Help Me, Ella"
Ella becomes director of the center; Malik gives careful thought about dropping out. Season 7, Episode 35 - "Pledging Paynes"
Season 7, Episode 34 - "Roommate Paynes"
CJ and Janine balk when Malik gets a female roommate. Elsewhere, Claretha experiments with alternative cancer treatments. Season 7, Episode 33 - "Mentoring Paynes"
Janine serves as a mentor to a girl while Ella and Curtis become Deshawn's foster parents. Season 7, Episode 32 - "The Rich and Payneless"
Ella's celeb friend arrives; Calvin is allowed supervised visits with Calvin Jr. Season 7, Episode 31 - "Dead Wrong"
CJ investigates the firefighters' response time; Miranda struggles with her unemployment. Season 7, Episode 30 - "Curtis Jefferson"
Season 7, Episode 29 - "Working Paynes"
CJ hires Calvin, but Calvin's job performance fails to impress. Meanwhile, a bored Curtis brushes off retirement by taking up painting. Season 7, Episode 28 - "The Best Surprise"
Calvin and Miranda set out to throw a birthday bash for Calvin Jr. Meanwhile, Curtis and Ella square off against the homeowner association. Season 7, Episode 27 - "Number Five's Fight"
Tempers potentially flame up when CJ is forced to lay off firefighters because of budget cuts. Meanwhile, Calvin and Miranda are moving on up—they hope to move upstairs, stirring up household tension in the process. Season 7, Episode 26 - "1096"
CJ fails to remember Janine's three-year sober anniversary. Meanwhile, Deshawn is given an ugly outfit for school-picture day. Season 7, Episode 25 - "Do the Fight Thing"
Bullying impacts Deshawn. Meanwhile, Miranda and Janine clash over petty issues. Season 7, Episode 24 - "The Gifted and the Grout"
A teacher tries to help Deshawn by suggesting he enter the gifted program. Meanwhile, Calvin and Miranda enlist a contractor to revamp their condominium. Season 7, Episode 23 - "The Payne Gang"
Ella and Floyd intervene when Deshawn joins a gang. Meanwhile, household tension rises when Calvin and Miranda move in with CJ and Janine. Season 7, Episode 22 - "Up From the Ashes"
Calvin discovers that Calvin Jr. was checked out of the hospital; Calvin and Miranda search for a place to stay. Season 7, Episode 21 - "A Mother's Payne"
Ella's mother pays a visit. Elsewhere, Janine is risky and risqué when she texts a racy photo of herself to CJ. Season 7, Episode 20 - "Payneful Rescue"
Season 7, Episode 19 - "So Hard to Say Goodbye"
Season 7, Episode 18 - "Mother's Day Out"
Season 7, Episode 17 - "Going, Going, Gone"
Season 7, Episode 16 - "Talented Paynes"
Season 7, Episode 15 - "Foster Paynes"
Season 7, Episode 14 - "Brain Payne"
Season 7, Episode 13 - "House of Awkward"
Season 7, Episode 12 - "Payneful Assistance"
Season 7, Episode 11 - "A Payneful Night Out"
Season 7, Episode 10 - "Dream Girls"
Season 7, Episode 9 - "Love Thy Neighbor"
Season 7, Episode 8 - "Shout Out"
Season 7, Episode 7 - "Praying for Attention"
Season 7, Episode 6 - "Epic Fail"
Season 7, Episode 5 - "Where There's a Will, There's a Way"
Season 7, Episode 4 - "Payneful Visit"
Season 7, Episode 3 - "Payne Protection"
Season 7, Episode 2 - "Growing Paynes"
Season 7, Episode 1 - "Payneful Resolution Resolution"
Season 6, Episode 46 - "Payne-ful Resolution"
Season 6, Episode 45 - "Beginnings"
Season 6, Episode 44 - "When the Payne's Away"
Season 6, Episode 43 - "Playing With Fire"
Season 6, Episode 42 - "Payne Showers"
Season 6, Episode 41 - "House Guest"
Season 6, Episode 40 - "A Payne in Need is a Pain Indeed"
Season 6, Episode 39 - "Rehabilitation"
Season 6, Episode 38 - "Thug Life"
Season 6, Episode 37 - "Rest for the Weary"
Season 6, Episode 36 - "My Fair Curtis"
Season 6, Episode 35 - "The Chef"
Season 6, Episode 34 - "Who's Your Nanny"
Season 6, Episode 33 - "Worth Fighting For"
Season 6, Episode 32 - "Stinging Payne"
Season 6, Episode 31 - "Help, Help, Help"
Season 6, Episode 30 - "Who's on Top?" Season 6, Episode 29 - "The Drinking Game"
Season 6, Episode 28 - "Watch the Son Shine"
Season 6, Episode 27 - "Date Night x 3"
Season 6, Episode 26 - "Feet of Clay"
Season 6, Episode 25 - "Who's Your Daddy, Now?" Season 6, Episode 24 - "Matured Investment"
Season 6, Episode 23 - "The Bible: King Payne's Version"
Season 6, Episode 22 - "Through the Fire"
Janine's mother takes over the house; Curtis's gig as the Safety Seal goes up in flames. Season 6, Episode 21 - "Heartbeat"
Calvin and Miranda have a pregnancy scare; Curtis and Claretha team up to make some quick cash. Season 6, Episode 20 - "Firestorm"
Season 6, Episode 19 - "Curtis Sings The Blues"
Season 6, Episode 18 - "How Do You Like Your Roast?" Season 6, Episode 17 - "Payneful Pie"
Season 6, Episode 16 - "Seal of Approval"
Season 6, Episode 15 - "Something Brewing"
Season 6, Episode 14 - "Lady Sings The Blues"
Season 6, Episode 13 - "Blackout X 3"
Season 6, Episode 12 - "From The Mouths of Babes"
Season 6, Episode 11 - "Payneful Reunion"
Season 6, Episode 10 - "Til Payne Do Us Part"
Season 6, Episode 9 - "Oh Christmas Payne, Part 1"
Family and friends share their own versions of the Nativity story when Jazmine fails to appreciate the real meaning of Christmas. Season 6, Episode 8 - "Ms. Curtis"
Season 6, Episode 7 - "Marriage Paynes"
All three couples go on an eye-opening marriage retreat. At the end of the retreat, Miranda asks Calvin for a divorce. Meanwhile, Claretha and Floyd babysit for the twins while everyone is away--it's scary. 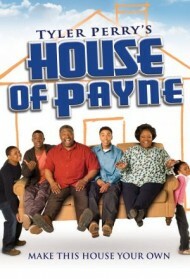 Season 6, Episode 6 - "Payne, Payne Go Away"
C.J., Janine and the kids move out of the Payne house. Meanwhile, Jazmine, feeling ignored by everyone and jealous of the twins, decides to run away. Season 6, Episode 5 - "Parental Payne"
Calvin confronts Miranda, thinking she had an abortion. Meanwhile, the school casts Malik in its production of Othello but the supposedly liberal father of the white girl cast opposite Malik won't allow Malik to kiss her in the play. Season 6, Episode 4 - "Payne Speaking"
Curtis protests his retirement and the fact that C.J. will be taking over his job; Ella battles with a new pastor. Season 6, Episode 3 - "Wigging Out"
Season 6, Episode 2 - "Recurring Paynes"
Calvin is confronted by Miranda's mother. Meanwhile, C.J., Janine, and Jazmine come back to town. Season 6, Episode 1 - "Where's the Payne?" Calving notices that Miranda is missing. Meanwhile, Curtis and Ella get a new housemate in Claretha. Season 5, Episode 26 - "Surprise! (2)"
Calvin tries to fix the mess he is in with Miranda and the conflict only gets worse. Meanwhile, Janine, the twins and Malik are preparing to move. Season 5, Episode 25 - "Surprise! (1)"
Calvin has gotten the ,000 needed to repair his parent's house and surprises them with the check. Meanwhile, Janine reveals that CJ is in Chicago interviewing for a new job. Season 5, Episode 24 - "Back Where We Belong"
Curtis and Calvin move into the barbershop due to their marriage problems, which causes hair raising havoc in the process. Meanwhile, Floyd blows up when he learns of Zach and Olivia's act of love. Season 5, Episode 23 - "Moving Out"
Miranda becomes upset with Calvin and the escapades with Mercedes, plus allowing his family to live at their house. Meanwhile, a quarrel over Ella's job has Curtis and Ella's marriage on shaky ground. Season 5, Episode 22 - "Moving Day"
After making shoddy repairs on the home leaves Curtis, Ella and Malik homeless, they find they must all relocate to Calvin and Miranda's abode. Meanwhile, Floyd's beautiful daughter stops by the barbershop, creating some hair-raising drama in the process. Season 5, Episode 21 - "Bringing Down the House"
Curtis comes up with a cost cutting method after discovering the Payne house foundation was in need of repair, but his plan goes horribly wrong. Elsewhere, Ella inches her way closer to a charmer she met at the mall. She also discovers that Curtis is not likely the man for her, at least according to a magazine quiz she took.